Ever since Condé Nast announced back in August that it was relaunching Vogue Greece, our forums have been waiting in suspense for the magazine’s comeback. The wait is finally over, and after a seven-year absence Greek Vogue has returned to newsstands — better and stronger than ever. This year is looking pretty good for print, with the debut of Vogue Hong Kong just last month while 2018 saw the inauguration of both Vogue Poland and Vogue Czechoslovakia. Who better than Bella Hadid to grace the magazine’s relaunch issue? 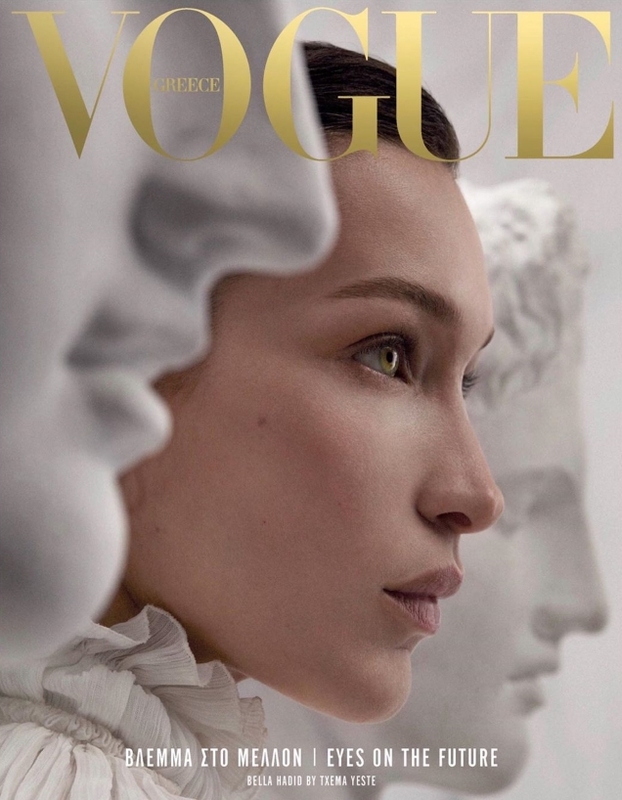 After all, she knows her way around a magazine cover shoot or two, is one of the industry’s most sought-after models and looks undeniably remarkable alongside the Greek antiquities in the two celebratory cover images for April 2019, shot by Txema Yeste. The covers sparked great interest on our forums. “This is stunning! This is how you do it. I see the references, the symbolism of the angle. Lovely,” admired MON. “Absolutely gorgeous! Perfectly showing elements of Greek heritage but in a modern way. 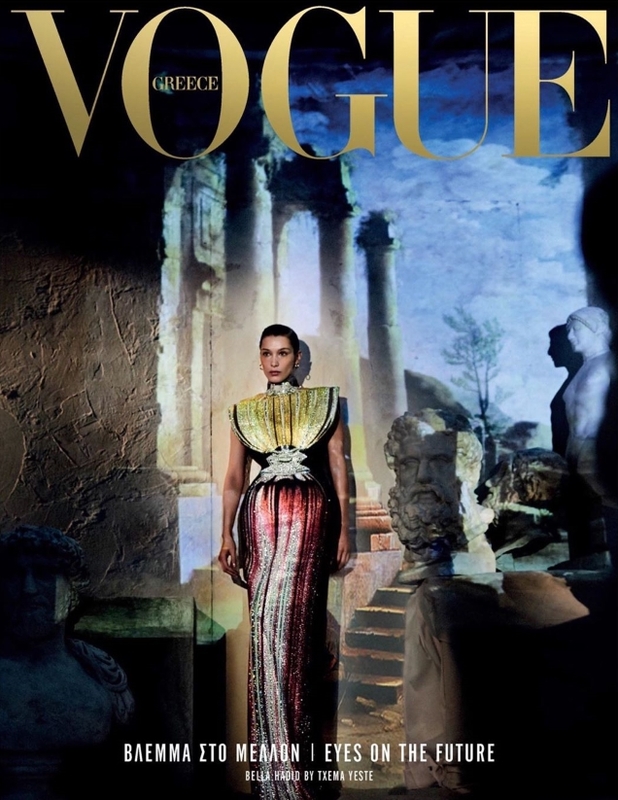 Bravo Greek Vogue, Fantastic start for a relaunch!” Blayne266 applauded. “A nice debut for Vogue Greece! I can’t get enough of the one with the closeup of Bella’s face,” said slayage. “This is actually wonderful. So sick of the Hadid sisters, my god, but it works here. Still I hope they plan to support their own talent, and celebrate their culture like Vogue Arabia does so well, voiced Miss Dalloway. “Bella looks stunning! This is how you do a debut issue,” commended jorgepalomo. Check out some previews of Bella’s accompanying cover feature and share your thoughts here.